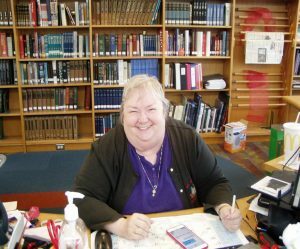 Ms. Davis, CHS librarian, always shows her welcoming smile when students come to the library. 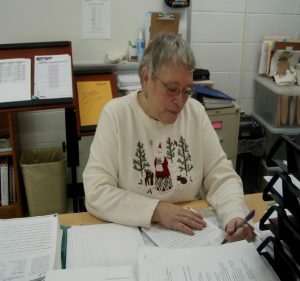 Mrs. Barb Holmes, family and consumer science teacher, is decked out in holiday garb as she tackles the never-ending stack of papers to be graded. Mrs. 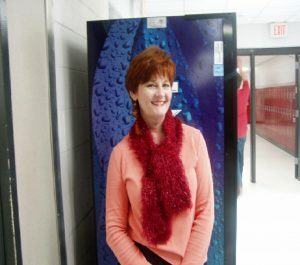 Brandy Durham, art instructor, cheerfully monitors the hallways between classes. Her bright smile and colorful clothes brighten our days. 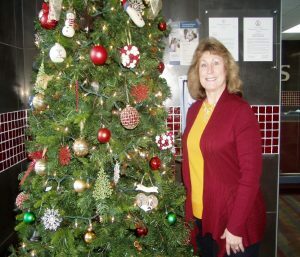 Mrs. Angela Andrepont, assistant principal, always has a ready, friendly smile for all students, especially at Christmas. 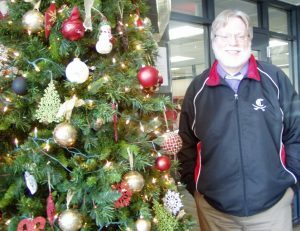 Mr. Randy Foster, principal, loves the holiday season.